These SkinCeutical products are available for purchase at Dr. Silver’s office and on-line at Premier Look. This breakthrough serum-in-a-gel contains a synergistic antioxidant combination to help protect the delicate eye area from oxidative stress, while targeted actives revive under-eye skin and helps reduce the appearance of puffiness. • Helps fight signs of aging. • Visibly improves signs of photodamage. • Helps reduce the appearance of puffiness and under-eye bags. • Combats signs of fatigue to restore a fresh, vibrant appearance. 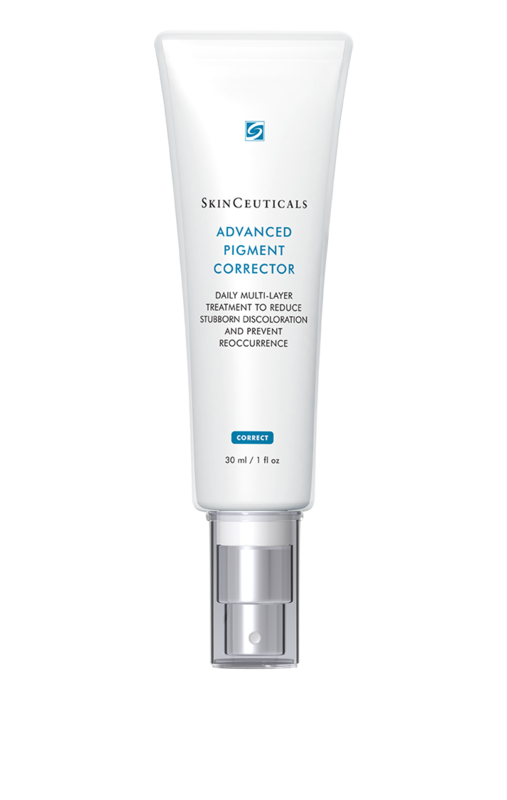 Advanced Pigment Corrector is clinically proven and tested on all ethnicities to help improve the appearance of stubborn discoloration. A multi-action comprehensive technology helps improve the appearance of discoloration often caused by chronic UV exposure, hormonal fluctuation, and natural aging. This potent treatment exfoliates to improve skin’s luminosity.